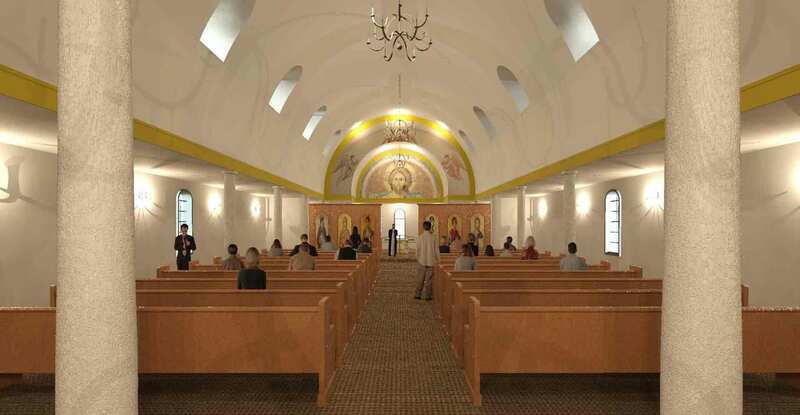 This new Greek Orthodox Church is an addition to an existing church in New Haven, Connecticut. The addition was designed to serve as new worship space while the original structure will be the site of planned future renovation. The design placed the addition in front of the original church to create a new image for the community. 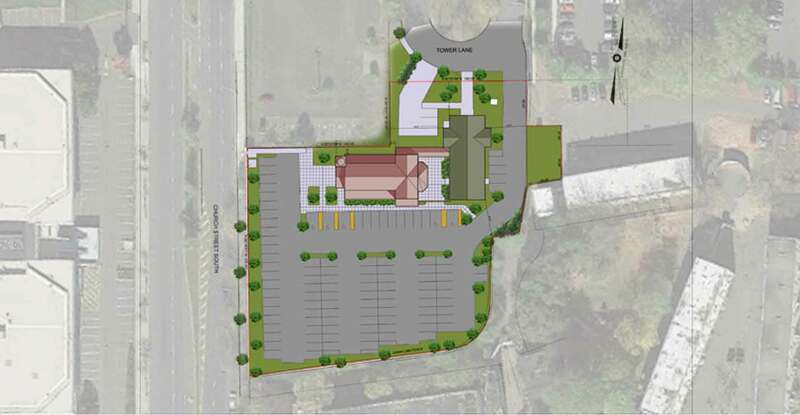 Prior to the start of construction, it was determined that the soils surrounding the original church, on which the addition would be built, were deemed substandard. The most efficient solution resulted in construction of the 4,500 sf addition on treated timber piles driven deep within the earth to provide additional support to the foundation. While the original building was surfaced in painted concrete block, the new church is clad with modern building materials that mimic the traditional, but are more durable and within budget. EIFS (exterior insulation and finish system) cladding, which has the appearance of stucco, provides exterior walls with an insulated, water-resistant, finished surface; metal tile roofing provides the appearance of clay tile roofing. 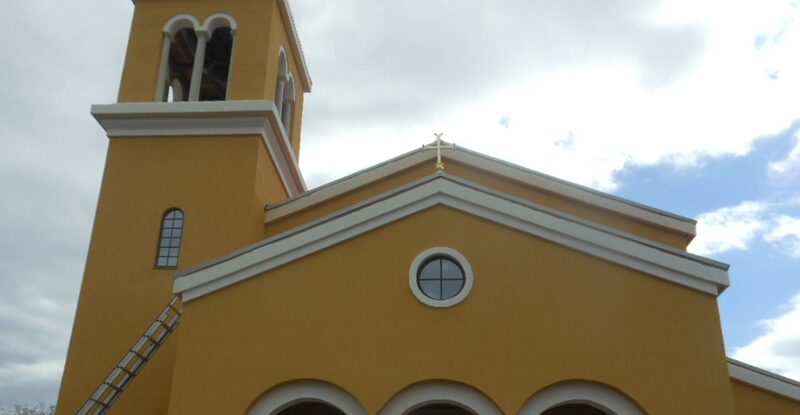 The resulting design, which also incorporates a bell tower, presents a more recognizable Greek Orthodox Church appearance. The church’s interior features a barrel-vaulted, telescoping ceiling which adds intimacy to the vast space by narrowing worshippers’ focus onto the traditional altar. 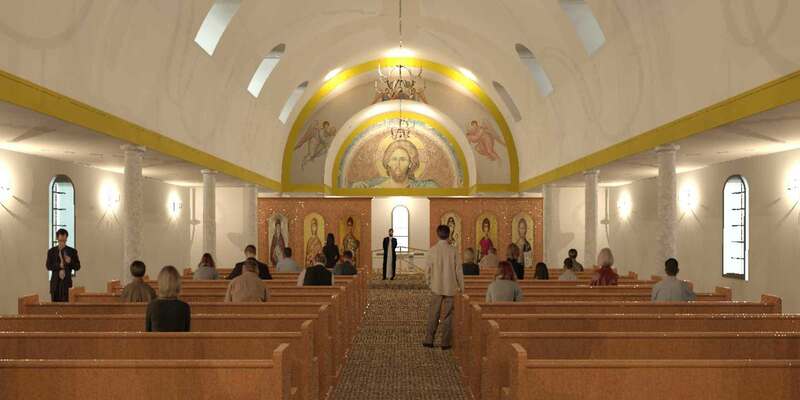 Construction was completed in September 2017, while interior finishes, including iconography, are being designed and completed by the congregation. Interior elements such as pews and an iconostasis wall (traditional icons separating the sanctuary from the nave) are being hand-carved and fabricated in Greece for future installation. Construction completed in 2017. Interior finish work beyond architectural contract being completed by congregation. 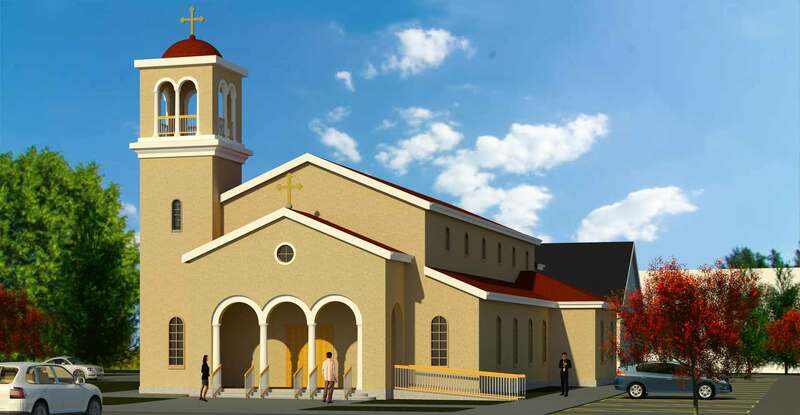 The design of the new Church, with bell tower, will present a more recognizable Greek Orthodox Church appearance. The new addition will be approximately 4,500 sf and is to be constructed on wood piles due to substandard soils. In the interior, a barrel-vaulted telescoping ceiling will create intimacy, narrowing the focus of the worship space onto the traditional altar punctuated by ornamental screens and icons.